Journal – Viby Speaks His Mind! Why should I be afraid to be me? Why should there be any shame? Can’t back down, I’ve to fight like a wrestler. Life becomes harder when you have no friend. When nights were better than those regular days. Being alone never made me feel lonely. I did have a friend and that was me; one and only. Dusk seemed brighter and more peaceful than dawn. I am still here but those moments have long gone. All the right things now seem wrong. Late at night, I am wandering in this empty lawn. Walking underneath this starry night. I wait for an unexpected miracle to strike. I keep walking as I wish to confront my fate. Hope keeps us strong and alive. Till the day comes when we face our demise. As we fight and struggle everyday for our survival. So, it was a wonderful year. As always there were ups and downs and there were times when I felt completely shattered. I had to remind myself that these phases are bound to come in my way and that it is the journey that needs to be enjoyed and cherished. Lots of people come and go in life but you always have yourself in the end, you have the most amazing person in this world with you forever and that is you. This was the year when I finished my high school and entered college with a reasonably good performance in examinations. This year I did a lot of different things and learned a lot about myself. Still have a long way to go but I am enjoying the ride. I initiated different things and learned that it is important to remain in touch with friends, help each other, be with each other when the chips are down and completely stay loyal to each other no matter what. I have a fair share of mistakes I made this year but I am bound to make mistakes because I am just a human. Hoping that next year will bring lots of happy moments and prosperity. GEAR UP FOR 2016! Something amazing might happen. Far away in the stars..
Far away in the stars I sit. For you’ll only find me when you look up. I have got to go and see the galaxy. Broken the shackles, no more mundane activities. New adventure is out there, waiting for me. So I’ll go now and fetch myself a sublime dream. A shimmering shoreline is ahead of me. Gentle tides wavers my worries. Voice of an angel sounds so soothing. Watching beauty of the nature is amusing. Sunset gives me a new hope. I am assured there’ll be a new day coming for sure. I want to meet my future self soon. Till then, reverie will make me stay on the moon. Traditional learning: An old way? While I won’t try to pretend that schools and higher education are a significant part of learning, I shall not ignore the fact that orthodox learning is no longer the only ticket to earn yourself skills which makes you stand out when you’re out in the real world on your own. I’m not going to blabber about how useless the school is rather I’d like to say that to truly learn something now a days, we need to look out for opportunities outside the walls of the classroom and stop relying only upon our textbooks to teach us a lesson. Growing social media has been indicating that times are going to change. At a global level, the spread of internet among the masses has been growing like a plague. There are a million ways to enhance a skill by the help of the internet and even more ways to earn money using a specific skill in which one has excelled. Although, there is no denying that traditional schools and ways of learning have those kinds of benefits which holds significance in shaping life of a person. Work environment and support of someone who can act as a mentor, i.e., a teacher is important as well. A teacher’s job is not only to explain us our textbooks. Teachers are also responsible to encourage leadership, creativity, curiosity and develop love for a subject. Therefore, even today, there is an enormous necessity for classroom environment and almost everyone still needs traditional schooling rather than trying to experiment with a new approach of learning. I recently did a research on internet addiction and while conducting the research I came across another study in which I saw that currently 6 percent of the global population are internet addicted. I had a thought. More like a prediction. Reading about that statistic gave me a feeling that this number is only going to increase from now on (not hard to guess, right?) so maybe the best thing to invest time and money would be on digital media. Of course, it only implies if you are willing to engage in productive activities online and in case you become an internet addict yourself then it is highly probable that you’d be at a gigantic loss. However, if you can do both traditional schooling and e-learning together and balance things out then it’d be most profitable. Despite all the advantages and disadvantages of both forms of learning, it is worth a shot to wonder about it. One day, e-learning will be a preferred means of learning but as of now, we can only wonder. On a terrible day or on a dreadful night, only one thought occurs to me which helps me keep going on in life. To keep giving me a hope that things will eventually work out, this is like a magic spell which heals mental exhaustion and display a new ray of light promising me that new opportunities are about to come so I must not stop. 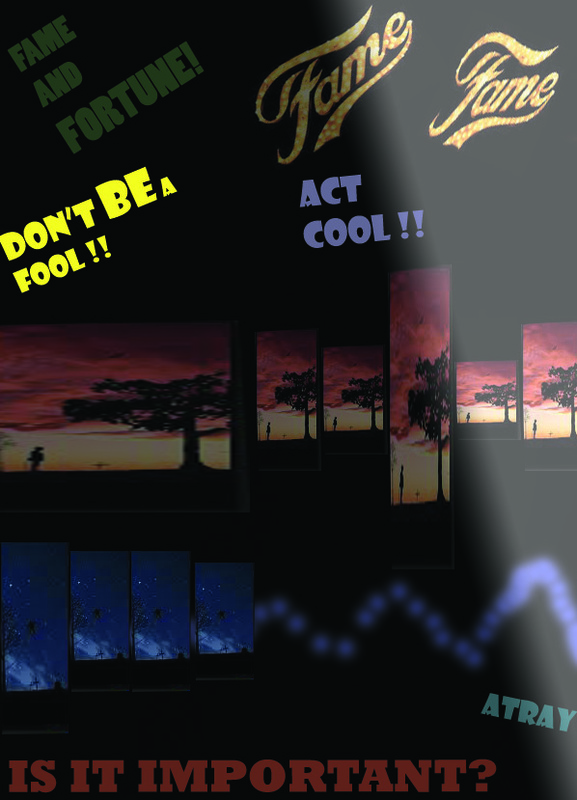 “See what happens”, I say after a long dialogue to assure me that anything can happen and I must not assume. If you think about it deeply, you will notice it can bring out different emotions. Like, I feel the thrill and excitement to think about it. It has taught me to leave my worries aside for a moment and focus on the present. For example, one night I was worrying that I might not be able to complete my assignment within this week and after expressing everything to a close friend, I realized there was nothing that could help me but only doing my work will be the best option. Besides observing that only doing my assignment will help me, I also realized that they can’t say anything to make me feel better. Mundane activities are unexciting. Well, that’s why they’re “mundane”. As a matter of fact, if someone tells you to do a repetitive task everyday it wouldn’t feel like a pleasing activity. Diversion can fulfill the missing element of adventure and excitement in a so called “mundane activity”. Critical and original thinking are the root cause of new theories which, on occasions, also defy the beliefs of existing theories. It is not only for that purpose, of course, it gives a sense of feeling alive and doing something new; something different. While writing this, suddenly that saying from Thomas Edison comes to my mind-“I have not failed. I’ve just found 10,000 ways that won’t work”. I have started to believe this is actually right. If you’ve read about perception you’ll understand that two different individuals never perceive the world in the same way. They’ll have variations, dissimilarity and unique ideologies and beliefs according to their own mindset and experiences. I personally believe that our system must promote original thinking instead of rote learning. In the real world, this method won’t work and today’s schools and some colleges do not prepare all the students for life outside our comfort zone. It is the “out-of-the-box” thinking which ultimately makes you a winner. Think something which will get you to the place where you want to be. Apparently, daydreaming about becoming a famous personality, getting rich, finding fulfillment leads you nowhere. Creative visualization can help heaps but only if you’re willing to make a plan to reach to your goals. But, I am guilty of this crime as well. It is easier said than done, another cliché, although true. In today’s world, where competition is on the rise, it is important to be an original thinker. Even if you get most things wrong, it won’t make you a failure rather you’d learn more and come out as a champion. “Be an original thinker and promote the need of the hour, that is, new and original thinking”. Vibhor Sharma vs Viby atray! Sometimes I feel like I have an alter ego. Just like I see Eminem having “Slim Shady” as his alter ego, I also feel like that “Vibhor Sharma” and “Viby Atray” are quite the different personality altogether. I started using the name “Viby Atray” only when I began blogging and due to the fact that “Viby” was a nickname given to me by a close friend and “Atray” is my real surname which sounds cool to me, I started using this name at different platforms. It was like I gave a birth to a totally new person because Vibhor Sharma is someone who cannot write peoms/articles/compose music (EDM)/Draw sketches etc. He is someone who lacks self esteem, is not talkative, cannot handle a lot of stress, gets nervous, sometimes a bit clumsy and he just isn’t open to a lot of experiences. On the other hand, “Viby Atray” is more of a “cool” guy. Atray can write poems, draw sketches, write articles, interested in human psychology, doesn’t get stressed out, have high self esteem, interested in learning EDM/DAW, wants to speak his mind and he is also open to new experiences. One night I was talking to a friend and I told her that my real surname is “Atray” and not “Sharma”. She got really confused and asked me who was I. Basically, I just had to tell her what name I use on official documents and what my real name is but I started thinking about it a bit too deeply. I was wondering who I actually was? 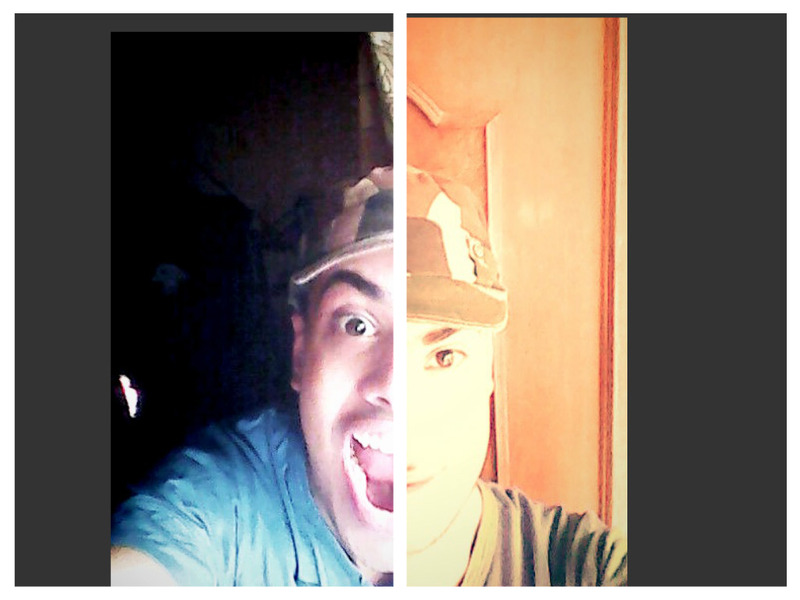 I am a totally different person sometimes and right there I just got the answer. I realized I was “Vibhor Sharma” who wanted to become like “Viby Atray”. I was so fond of Atray because of his charming persona and his ability to read, write and comprehend. I wanted to be that guy in real life as well. I still struggle to become “Viby Atray” and I am still not up to his standards. So, from this day onward, my aim would be to make a fusion of these two people, i.e, “Vibhor Sharma” and “Viby Atray” because I am sure this combination has the power to change the life of “Vibhor Sharma” who needs a role model and a kick start to find the motivation. 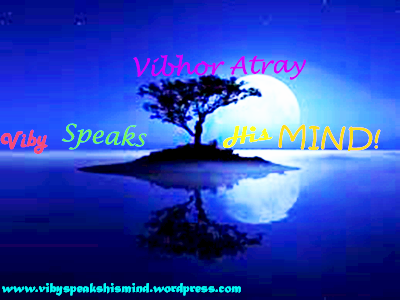 I believe “Viby Atray” is that person who can change the fortune of “Vibhor Sharma” in the coming years. 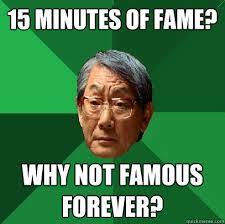 Fame and Fortune- Is it important? You see great artists like Michael Jackson, Bob Marley, Freddie Mercury, Elvis Presley etc and wish that someday, someone will find you and acknowledge the talent you’ve got and give you a chance to perform at the biggest level to showcase the great skill you’ve acquired over the years. Frankly speaking, almost every teenager once in his/her life thinks about being popular one day and lead a luxurious life but not many are able to achieve their dream of being extraordinarily talented. To an extent, it depends if you’ve got natural talent or not. That is a big reason which differentiates prodigies from other people. It’s not wise to run after a luxurious life and think about being famous. Although, many people (including me) find it difficult to resist this feeling but deep down, we all know what is actually important in life and that is, the love of the family and friends. Having few close friends and a family is all we hope to desire after being famous. Obviously, people will provide you ample amount of attention and would like to be friends. Just like everything else, famous people have got their own troubles like they have to keep an eye on the people on whom they can actually trust because nearly everyone tries to ride on their fame. Some people equate popularity as being successful but in my opinion, success is not achieving something materialistic. According to my view, you’re successful if in the end, you’re satisfied by yourself and your work. Anyway, that’s just a point of view. The fact is that many people just wish to become popular without actually trying to develop love for an art. Yes, the media has shown that it’s altogether a different world but in the end, the reality is that they are just human beings like us and it’s we who make them popular. Not denying the fact that they are at that position because of their hard work but we should start doing something productive with our lives and stop obsessing over celebrity lifestyle. You might still think that it is important to be popular and rightly so but always remember to love yourself and set your priorities right even if you don’t achieve this particular dream. The best way to become popular is, I think, develop love for an art and do it for your own happiness. In that way, you’ll love yourself and it is a universal fact that it’s only when you love yourself, you’ll learn to love others. Developing a skill will leave you satisfied and what’s better than being content in life? I don’t think there’s a bigger feeling than that. Who’s Viby? Viby speaks his mind? Once a toddler now turning into an adult. I’ve been blogging for more than a year and a lot of people don’t know who I am and why did I started blogging. The title of my blog “Viby speaks his mind” seems a bit odd and quite lengthy as compared to what is generally expected while naming the title but I found out that this particular title is the most suitable among all. As I’ve just got out of high school, I don’t have an expertise in a field yet so I know I can’t claim to know about a specific field. That was why I decided to write whatever comes into my mind. Hence, the title “Viby Speaks his mind”. Initially, my aim was to improve my English writing as I’m a non native so the task was difficult and I needed a fun way to enhance my skills so the idea of blogging struck me. Believe me, it helps heaps as you follow other blogs and learn about different ideas across the globe. Blogging is an idea which is interesting and helps you develop as a person as well. It helps you to connect with some geniuses and some modest human beings because it is something which people do to share their thoughts, opinions, facts etc. Similarly, in the summer of 2014 while I was at home, too bored to do anything new, I just thought about starting a blog so that I can learn more about different things and improve my English as well. I think till date I have come a long way and the best part is that I still have so much time to learn new things. I am looking forward to the future in a hope that I’ll get better each day and get lots of experience to share them in my blog. I have got some creative friends and I feel so lucky that I have them in my life. Planning to do something new now and will come up with awesome stuff in future for sure. So, for the rest of the years I am alive on the planet Earth, I will be dedicating my life to learn more stuff and try to do what I actually love. Hopefully, with the support of my creative friends, I’ll be able to achieve the desired results and it’ll be a journey full of adventures. Be a part of my life because Viby is going to speak his mind and he’ll be sharing all his thoughts here at “Viby Speaks His Mind” until he departs from the planet.